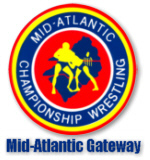 Mid-Atlantic Championship Wrestling experienced both change and growth during the first three months of 1976. As 1976 dawned, Jim Crockett Promotions was still reeling from the horrific airplane crash in Wilmington, N.C. that occurred on October 4, 1975 which ended the career of the promotion’s top bad-guy, the legendary Johnny Valentine. A top mid-card wrestler, Bob Bruggers, was also lost to the promotion due to the crash. The good news for the promotion was that the Mid-Atlantic Heavyweight Champion, "Nature Boy" Ric Flair, continued his amazing recovery from injuries sustained in the crash. While Flair was not ready to return to active wrestling when the calendar flipped over to 1976, the "Nature Boy" was on the verge of getting back into the "squared circle." That fact alone seemed to energize the promotion, setting the stage for what would be fast start for Mid-Atlantic Championship Wrestling in the year 1976! January of 1976 was very much a transitional period for Jim Crockett Promotions. Many of the main event stars of late-1975 were de-emphasized in January of 1976 and played little or no role for the promotion thereafter. For instance, Steve Keirn was dropped to mid-card status in January and soon thereafter left the promotion entirely. There also was Ken Patera, who was headlining cards in December of 1975, but found his role reduced in January and by the end of the quarter was teaming with opening-match wrestlers such as Klondike Bill on TV and was likewise losing singles bouts on TV. As with Keirn, Patera would also soon leave the area. January also claimed as a victim, the masked Spoiler # 2. This 345 pound masked man had been involved in a minor angle with United States Heavyweight Champion "Number 1" Paul Jones in late 1975, which went over briefly into January. Jones handily took care of the Spoiler, and then went onto much more memorable feuds. Steve Strong was another wrestler who would not count January as a month to remember. Strong was brought into the area, along with Superstar Billy Graham, around the time of the Wilmington plane crash. Strong was impressive, and was in the main events in some cards around the area in late 1975. Then in January, the bottom dropped out for him. While Strong stayed around the area until May of 1976, he was never better than a mid-card performer and was jobbing on TV matches soon before leaving the area. The first quarter of 1976 was not a period where significant newcomers came to the area. January did produce the most notable addition to the quarter, the Mongols. Bolo and Geto Mongol had just come from a successful stint in the IWA promotion that did well for a time in 1975. Touted as the "International Tag Team Champions," the Mongols were dominant during the early months of 1976. However, even the addition of "Professor" Boris Malenko as their manager could not vault this team into the position of overtaking Gene and Ole Anderson as the promotion’s top tag team. January of 1976 will perhaps be best remembered for the tag team battles of that month. Gene and Ole Anderson proudly carried the NWA World Tag Team Championship into the year 1976. At the beginning of January, the Anderson’s had to weather the challenge of the young duo of high-flying El Rayo and Roberto Soto. The El Rayo and Roberto Soto team actually defeated the Anderson’s in non-title bouts in early January. Then, in unexpected fashion, the Anderson’s lost the World Tag Team Titles to the newly created team of Wahoo McDaniel and Rufus R. Jones in late January. This victory by the McDaniel/Jones team effectively ended the push El Rayo and Soto had been getting in the tag team division. There was no buildup to the Wahoo McDaniel/ Rufus R. Jones title win, and it is quite curious as to why this reign ever happened. The reign was quite short, as on February 3, 1976, the Anderson’s won the World Titles back at the Dorton Arena in Raleigh, N.C. There was no big push on the part of the McDaniel/Jones team to win the titles back, and this short reign passed mostly forgotten into history. The Anderson’s then moved onto a short program against the Mongols, and then defended their titles successfully against a number of makeshift combinations to close out the first quarter of 1976. As January turned into February, the biggest event in Mid-Atlantic Championship Wrestling had to be the return to active competition of Mid-Atlantic Champion "Nature Boy" Ric Flair. In his first match back, Flair wrestled in Greensboro, N.C. on January 31, 1976 against Wahoo McDaniel, defeating McDaniel by count out. Flair had obviously lost a significant amount of weight due to his injuries from the plane crash, but wrestled a normal schedule after his return to the ring. During the month of January, while not wrestling, Flair had appeared on TV and seconded Angelo Mosca to the ring in matches Mosca had against Wahoo McDaniel. Flair would interfere on Mosca’s behalf in these matches, costing Wahoo victories. This was a good buildup to the matches that would follow in February and March (and throughout 1976) which pitted Flair and McDaniel battling over the Mid-Atlantic Heavyweight Title in perhaps the greatest single feud in the history of Mid-Atlantic Championship Wrestling. February was also a month in which fans in the area got to see a great deal of the NWA World Heavyweight Champion, Terry Funk. Funk was in the early stages of his reign as the World Champion, having beaten Jack Brisco on December 10, 1975 in Miami Beach, Florida. By February of 1976, Funk was certainly no stranger to the Mid-Atlantic area. Funk captured the United States Heavyweight Title in Greensboro, N.C. on November 9, 1975 in a one night tournament to fill the vacant title after Johnny Valentine was injured in the Wilmington plane crash. Paul Jones then defeated Funk for the U.S. Title on Thanksgiving night, November 27, 1975, paving the way for Funk to ascend to the top spot in December. Funk made two passes through the area in February, one in early February and one in late February. The World Champion successfully defended his title against Paul Jones and Rufus R. Jones. Funk also appeared on Mid-Atlantic TV programs in February, and once even wrestled a television match against U.S. Champ Paul Jones, a VERY rare occurrence as TV matches were primarily of the "squash" variety during this time period. A feud of note that reached its climax in February of 1976 was the feud between Tim Woods and Blackjack Mulligan. As was the case with much that occurred in the first quarter of 1976, this angle had its roots from the terrible plane crash in October of 1975. At the time of the crash, Woods was in a terrific feud with Johnny Valentine. The plane crash, of course, ended that feud prematurely because of the injuries to Valentine. What is not widely remembered, is that Woods was in the crash as well, and walked away from the crash with only scratches. After the crash, Woods was booked into a feud with Mulligan, who was just returning to the area after a brief stint in the WWWF. Mulligan attacked Woods on the set of Wide World Wrestling, injuring Woods’ hand. Woods retaliated during the U.S. Title tournament in November, costing Mulligan a match and a shot at the title. That interference prompted Mulligan to put a $5,000.00 bounty on Woods’ head. A number of Bounty Matches ensued, but by the time February rolled around, Woods and Mulligan were wrestling each other. The matches between these two were highly competitive and entertaining. While still being referred to as "Mr. Wrestling," Woods was not wearing his trademark white mask during early 1976, though this would soon change. The feud between Woods and Mulligan ended inconclusively, as Mulligan’s focus would turn to the U.S. Title and Paul Jones as February turned into March. March of 1976 would see a significant title change, and a vacant title becoming close to having a new champion. March also saw the regular pairing of what looked at that time to be a significant new tag team for the area, Sgt. Jacques Goulet and Mike "The Judge" DuBois. The Goulet/DuBois team turned out to be only a mid-card team, but still was an entertaining duo. United States Champion Paul Jones and Blackjack Mulligan had been wrestling each other frequently since Jones captured the U.S. Title in November of 1975. These two worked well together, and both were on top of their games during the first quarter of 1976. Jones played the undersized, fighting good-guy Champion role to perfection, against the huge bully Mulligan, who played his role equally well. Mulligan was seemingly closing in on Jones and the U.S. Title as the spring thaw was beginning around the area in March. Sure enough, the inevitable occurred on March 13, 1976 at the Greensboro Coliseum, as Mulligan defeated Jones for the U.S. Title in a match where Mulligan promised to leave town if he didn’t beat Jones. The victory by Mulligan added fuel to an already heated situation between he and Jones, and led to an outstanding feud between the two over the U.S. belt that went on strong throughout the rest of 1976. The other title that had significant activity in March was the Mid-Atlantic TV Title. While this singles title was clearly third in line in importance in the area, behind the U.S. and Mid-Atlantic Titles respectively, it was nonetheless a significant title that was well promoted during this time frame. Paul Jones gave up this title after winning the U.S. belt in late November of 1975, and a tournament was set up for television in December and January. The tournament actually started in early February, and by the end of March was down to four semi-finalists. The "final four" were Johnny Weaver, Tiger Conway, Angelo Mosca, and Tim Woods. The TV tournament had some fine matches along the way, but the clear favorites throughout had to be Mosca and Woods. Mosca in particular was red hot, having come to the area in November of 1975, and jumped right into a feud with Wahoo McDaniel and very much stood toe to toe with the great Chief. The completion of the TV Title Tournament, the continuing feuds between Flair and McDaniel over the Mid-Atlantic Title and Paul Jones and Mulligan over the U.S. Title gave fans of Mid-Atlantic Championship Wrestling a lot to look forward to as the calendar entered April, and the second quarter of 1976! BLACKJACK MULLIGAN—Blackjack Mulligan, the 6’ 7", 310 pound giant from Eagle Pass, Texas entered 1976 hot on the trail of United States Champion Paul Jones. On March 13, 1976, Mulligan captured the U.S. belt from Jones in Greensboro, N.C. During the first quarter of 1976, Mulligan also had a classic series of matches with "Mr. Wrestling" Tim Woods. When he wasn’t battling with Paul Jones or Woods, Mulligan also successfully teamed in matches with the also "hot" Angelo Mosca. Mulligan was at his dominating best during the first quarter of 1976, and was the Mid-Atlantic area’s hottest star in early 1976. ANGELO MOSCA—Angelo Mosca made waves in the Mid-Atlantic area immediately after coming to the territory in November of 1975. Right away, Mosca was thrust into a program with Wahoo McDaniel. His matches with McDaniel were billed as the battle of the football stars, and the action in these bouts was outstanding, particularly in January of 1976. Mosca also battled with Rufus R. Jones and Tim Woods (in Bounty matches) during the first quarter of 1976, with good results. Mosca was 6’ 5" and 310 pounds, and brought with him to the Mid-Atlantic area an outstanding athletic background from the University of Notre Dame and the Canadian Football League. Mosca was truly a man to be feared in early 1976. THE MONGOLS---Bolo and Geto Mongol arrived in the area in mid-January 1976. The Mongols had just completed a solid run in the short lived IWA during 1975, and in fact they were that promotion's Tag Team Champions. The Mongols, during their first few months in Jim Crockett Promotions, were billed as the "International Tag Team Champions." Bolo and Geto ran through their TV opposition during this time frame, and were often pitted in mid-card matches in the arenas against Mid-Atlantic veterans such as Danny Miller, Swede Hanson, Ronnie Garvin and Tiger Conway. The Mongols almost always won these mid-card contests, frequently via double-teaming. approximately a month with World Tag Team Champions Gene and Ole Anderson. The Andersons had just regained their belts in early February from the team of Wahoo McDaniel and Rufus R. Jones. These contests were rare "Battle Of The Bullies" matches between the Mongols and the Andersons, which saw the Andersons remain the area's tag team kingpins, and the Mongols fall back to mid-card matches where they remained until the team disbanded in September of 1976. The Mongols were managed by Professor Boris Malenko. Malenko up to this point had been a full time wrestler during his stints with Jim Crockett Promotions. Malenko had been referred to as "The Great Malenko" during his early work with Crockett, but when he came back to the area in June of 1975, he used the "Professor" moniker. Malenko wrestled primarily mid-card matches in mid and late 1975, forming a mid-upper level card team with Larry Hamilton, The Missouri Mauler. The Malenko-Mauler team had occasional main event matches against Wahoo McDaniel and Paul Jones and Malenko himself occasionally headlined cards against Wahoo during late 1975. Thus, it was somewhat surprising that Malenko gave up active competition for the most part in February of 1976 to manage the Mongols. Malenko was a true "mouthpiece" for the Mongols, and would do excellent TV interviews while the Mongols would be shouting and screaming behind him! Bolo Mongol, whose real name was Bill Eadie, became better known to Mid-Atlantic fans when he donned a mask in late September of 1976 and became "The Masked Superstar." Eadie did a masterful job of recreating himself, and few fans realized at the time that the calm, articulate Superstar was the same person as the ranting and screaming Mongol! While the Mongols never became true main event stars, their won-loss record during the first three months of 1976 was outstanding, making them HOT for the first quarter of 1976! KEN PATERA—"The Strongman" Ken Patera entered the Mid-Atlantic area in early 1975 as a clean cut good-guy Olympian and dazzled the fans with his fantastic strength. Patera was trained as a weightlifter, but he made the transition to professional wrestling rather smoothly. As late as December of 1975, Patera was routinely at the top of cards in the area. When 1976 arrived, Patera abruptly fell to mid-card status, and was jobbing in television matches before leaving the area prior to the end of the quarter. Patera would come back to the area full-time in 1978, having a successful run at that time as a heel. STEVE KEIRN—Steve Keirn’s descent to the mid-card ranks and his quick exit from the area rivaled Patera’s plight. As late as mid-November of 1975, Keirn was challenging for the NWA World Tag Team titles with partner Tiger Conway Jr. The 1974 NWA Rookie of the Year was reduced to early and mid card matches in January of 1976, and was out of the area entirely before the end of the quarter. STEVE STRONG —Steve Strong entered the Mid-Atlantic area with great promise in October of 1975. The big blonde from Arizona had an outstanding physique and was articulate on interviews. In late 1975, Strong teamed with Superstar Billy Graham, Angelo Mosca and Blackjack Mulligan in main event matches. But when the new year was ushered in, Strong was ushered out of the limelight. Strong lingered in the area as a mid-card performer at best until May of 1976, but was never a major player with the promotion in 1976. In Strong’s last Mid-Atlantic television appearance, he did the job for the area’s new star-to-be, Dino Bravo. SPOILER # 2 ---The Masked Spoilers # 1 and # 2 showed up in the Mid-Atlantic area in the late summer of 1975, soon after the masked Super Destroyer was allegedly unmasked by Paul Jones, Rufus R. Jones and Wahoo McDaniel. The Spoilers entered the area seeking revenge for the unmasking of the Super Destroyer, who was revealed to be Don Jardine. Jardine, before and after his year and a half Mid-Atlantic stay, typically used the name "The Spoiler" when wrestling in other areas of the country. The team of the Spoilers dominated mid-card competition in the Fall and Winter of 1975 and occasionally wrestled in Main Events. Spoiler # 2 was much bigger than # 1, tipping the scales at 300 pounds or more. Perhaps because of size, Spoiler # 2 got a moderate push during the last few months of 1975. Spoiler # 2's singles push started in October of 1975 when he wrestled Paul Jones in a singles match on TV. Jones nearly had # 2's mask off, when Spoiler # 1 interfered. This set off a minor feud between Jones and Spoiler # 2, that culminated during the last two weeks of 1975 and the first two weeks of 1976. By this time, Paul Jones was the U.S. Champion and the series of matches between the two in the big cities in the area were title matches. Jones won all of these bouts, banishing Spoiler # 2 from the Mid-Atlantic area forever. While Spoiler # 2 was barely in the Mid-Atlantic area in 1976 (See 1/2/76 Richmond Arena promo ad), his loses to Paul Jones and immediate departure from the area qualify him for the WHO WAS NOT designation in the first quarter of 1976.